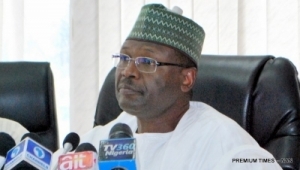 The Independent National Electoral Commission (INEC) says there is no more room for political campaign or collection of the Permanent Voter Cards (PVCs) in spite of the postponement of elections dates by one week. Campaign closed on Thursday, Feb. 14, and for the period that remain campaign remained closed. We have to take a decision and communicate because polls were suppose to open at 8a.m. and we took the decision at 2a.m, he said. Yakubu while answering question on why the commission waited till about 3a.m on Saturday before postponing the elections, said that up till 2a.m the commission was still hopeful that elections would hold as scheduled.